A Christian ministry guided by Directors (Shane and Becky Rosty), a faculty advisor, and a team of committed leadership students. Committed to Following Jesus and Loving Others. BCM exists all over the United States. Find one on a campus near you by clicking on “Ministry Directories” at bcmlife.net. Bible Study, Food, and Friendship. Family style, Home-cooked meal… your home away from home. Looking out window I see a cluttered up backyard. Trash that has blown in from the street, torn shingles from the shed roof, and a combination of sticks and leaves chocking out the peaking grass buds that are reaching for sunlight. Determined to transform the utter chaos into organization, I start making piles of tree limbs and trash. Hoping to clear up the mess. Feeling like I reached a point of accomplishment I look over the yard and can’t help but feel slightly discouraged. Although the yard looked far better than the initial mess, it was still a mess. No matter how many times I reorganized the craziness of the yard. The mess wasn’t going away. Just like my backyard, my life can easily hold the shameful trash and destruction caused by sin. I’m quick to hustle to the dirt piles in my heart and make them look presentable. This mentality can manifest in ways that cause me to make excuses for my sin. To act like I have life figured out, and get caught up in an identity that God doesn’t call me into. Like my yard though, the mess in my heart might look a little more tidy than others, but it’s a mess none-the-less. I find it sad that as Christians we can get so caught up in making our messes look less-messier than our neighbors when God has given us neighbors to help us with our messes not compete over them. The way that Jesus reacts to our cluttered hearts and lives is in grace and justice. While helplessly trying to clean a cluttered backyard I’m reminded of one of my favorite stories in the Bible, Jesus and the Samaritan woman (John 4). Jesus meets the Samaritan woman in the high heat of the day at noontime, being the only one at the well. 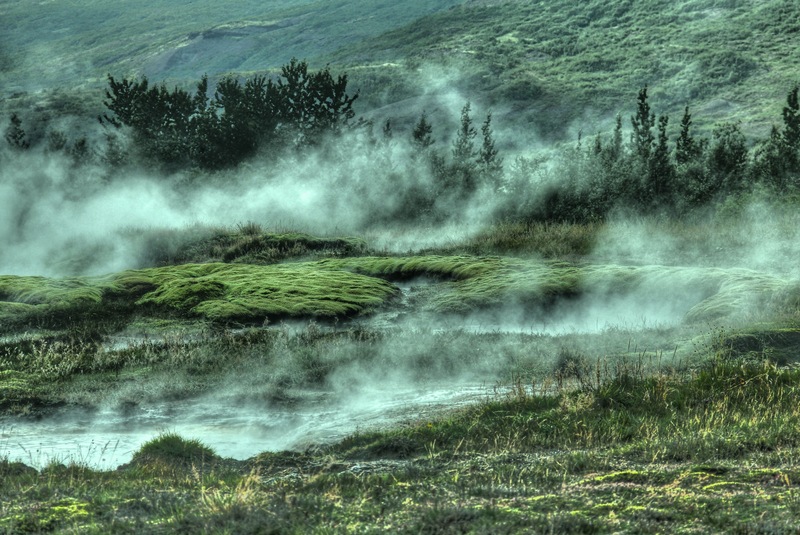 The reason she went to retrieve water at the hottest point in day wasn’t because she slept in past her alarm. The Samaritan woman was alone because she had a routine of going to the well when all the other women had left. Her life was so cluttered with mess that she was seen as an out-cast from the other women’s group. Later while Jesus is talking to her He offers her a well that will never run dry. The Samaritan woman responses in excitement and desire of this never-ending water, not realizing Jesus it talking about eternal life. Then He responses in a table-turning way. Instead of responding in kind and sensitive way that I would expect Jesus to react. He tells her, “Go and get your husband” (John 4: 16). This statement is heart-wrenching to the woman, because she and Jesus know, that she doesn’t have a husband. This is an open wound to the woman’s heart. Jesus pushes even deeper into her insecurities and tells her, “You’re right! You don’t have a husband– for you have had five husbands, and you aren’t even married to the man you’re living with now” (John 4: 17-18). Jesus just took the microscope to her heart and relieved to her the truth that she knew but couldn’t bring herself to confess. At the well, Jesus put light on the darkest most shameful spots of the woman’s heart. No matter how well she wanted to hide her hurt, pain, and sin. Jesus saw it. He reacts the same way to our hearts. He sees it. No matter how many excuses, leaves, sticks, trash, and lies we can use to cover our dark spots. Jesus knows, and He wants us to live in a gospel-humble community with one another. Where we shouldn’t be “thinking more of [ourselves] or thinking less of [ourselves], [but] thinking of [ourselves] less” (Freedom of Self-Forgetfulness, Timothy Keller). In doing this we can create a community of grace, love, growth, forgiveness, and Truth; which might start to look a lot like Jesus and a lot less of our flesh. The song, “If We’re Honest” by Francesca Battistelli has spoken encouragement into my life while deciding to live in confession and freedom. For another great read on starting fresh for the spring season check out http://www.campfiregrace.com/2016/03/29/transformation-tuesday-how-does-christs-resurrection-impact-you/#. When school work piles up, deadlines creep closer, and work schedules become chaotic, it can seem like the social aspect of life gets put on the back-burner; especially our relationship with Christ. Maybe over break you were challenged to seek more of God then coming back to “life” took you off the high mountain and threw you to the bottom. Looking back up at the mountain top, the journey seems cloudy and full of discouragement and struggle. 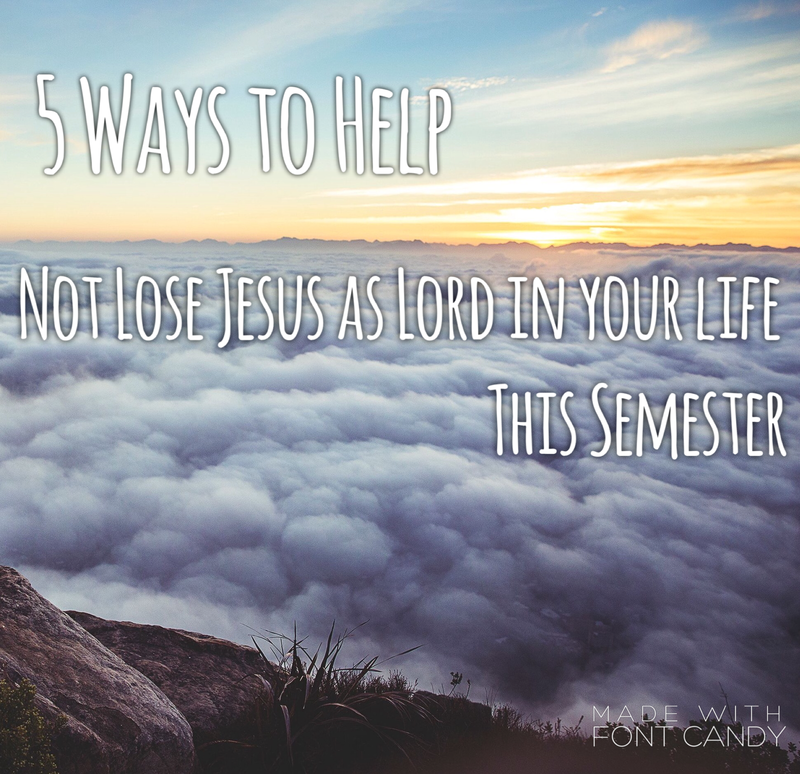 Here are five ways to help you focus on not losing Jesus as Lord in your life this semester. Reflecting over my first year in college God started these five step trends that have continued to help me on focusing on Jesus as Lord in my life. Our God is Emmanuel. Meaning He is “with us.” The same God that an out-casted slave woman calls “El-roi,” the “God who sees me” (Gen. 16:13). He sees you and me for who we really are. So we should lean into those emotions and convictions and cry out to God. If we desire more of God we should be desiring more of His Word. We are not to walk this journey with Christ alone. God gave us the a church to walk with believers, be encouraged, sanctified, and serve for the glory of His Kingdom. 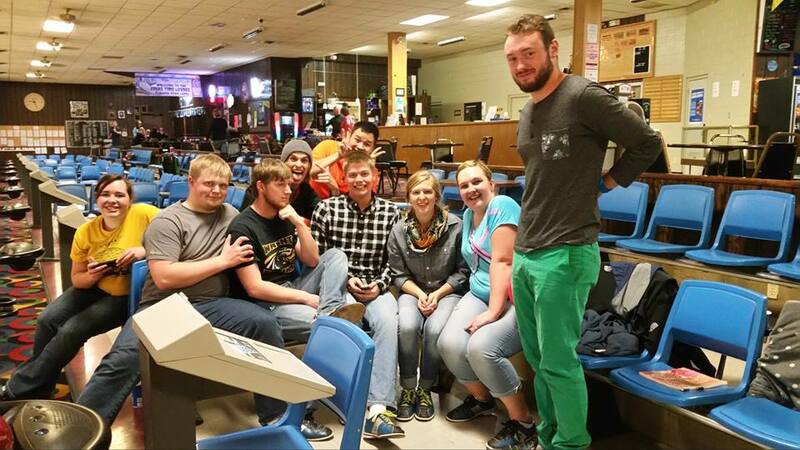 BCM is a campus ministry that meets weekly to grow in Christ and with each other. We meet together for worship, a message, and fellowship every Tuesday at 7:42PM in room TRVCC 008. We invite all denominations of Christians and people from all different backgrounds, whether you have a relationship with Jesus or not we would love to meet you! Although BCM is a place where we share a message and grow in Christ, we are not a church. If you are seeking more of God and want to keep pursuing Him; getting involved in a local church is a great way to build relationships, be encouraged, grow, and share life with other believers. BCM would love to help you get plugged in with a body of believers. If you are wanted to keep Jesus as your Lord this semester you have to do something. The Christian life is a fight. God has given you today, to do something. Meet with an old friend over coffee and share what God has been doing in your life, reach out to a student or person in the community in need of help, pray for that person that God has been putting on your heart, take some time today to ask for forgiveness from God or a specific person over a sin that has been convicting you, just do something. Looking over these five steps they can be summed up in three actions. Feel free to share how you are going to cry out, seek out, and reach out this week. We would love to know how we can be specifically praying for and walking with you through this semester. Let us use the day God has blessed us with to seek Him and make Him known! New semesters bring in new excitements, relationships, and new starts. When new starts come it’s a weight lifted off our chest allowing us to breathe again. What if that same freedom of starting a new class is also true for your life? All those first semester mistakes that piled up can be erased clean? Tuesday night Shane shared with us the life of King Manasseh and 8 lessons we can learn from his life transformed from rebellion to righteousness (2 Chronicles 33:1-20). You can stay stuck pursuing the wrong things for a long time. It took Manasseh 55 years to figure out what he was pursuing wasn’t working for him. As you know your time is precious, we shouldn’t waste it on the things that don’t last. What you do and where you put yourself influences others. From the words of Mumford and Sons, “where you invest your love, you invest your life.” Where do you put your time? How does that affect your life? Serving things other than God is a common practice. We were made to service God. When we don’t it can hurt. Serving things other than God negates his promises and interventions in your life. Sin has consequences. King Manasseh discovered that and found himself in chained in prison. God is constantly trying to speak to you. Verse 10 tells us that “The Lord spoke to Manasseh and his people, but they ignored all his warnings.” Are you listening? Consequences are humbling, but necessary. If we don’t recognize our consequences we can waste them. Don’t wait until you’re distressed to humble yourself and seek God. If King Manasseh would have humbled himself earlier on he probably wouldn’t have had to walk down the road of distress he did. You don’t need to be in great distress to cry out to God. If you are already distressed come to the Lord. He is better than what you are already serving. There is hope in Jesus Christ. He offers you deliverance, healing, and change. Focus on praising Him in your life. Like King Manasseh did, tear down the idols you have built up in your life. As we begin this new semester let us strive to have a focused mind on Christ and humble ourselves before the all-mighty Lord. Let us know how you life relates to the life of King Manasseh’s. Either comment or come see us on Tuesday January 26th at 7:42PM in TRCC 008 on Sheridan College campus. Join us for a time of praise and fellowship! 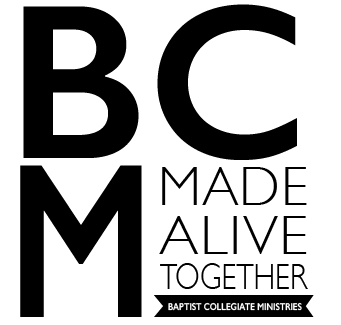 Also follow us on facebook at BCM of Sheridan College, instagram @bcmofsc, and twitter @BCMofSC. This post is featured from CampfireGrace.com, the personal blog of Becky Rosty, who co-direct’s BCMofSC with her husband. I figured out my word for 2016. I thought it was going to be flourish. But as I look back over the last few weeks, I see the word POWER all over the place: my journal, my Spotify playlist, my work-out diary. 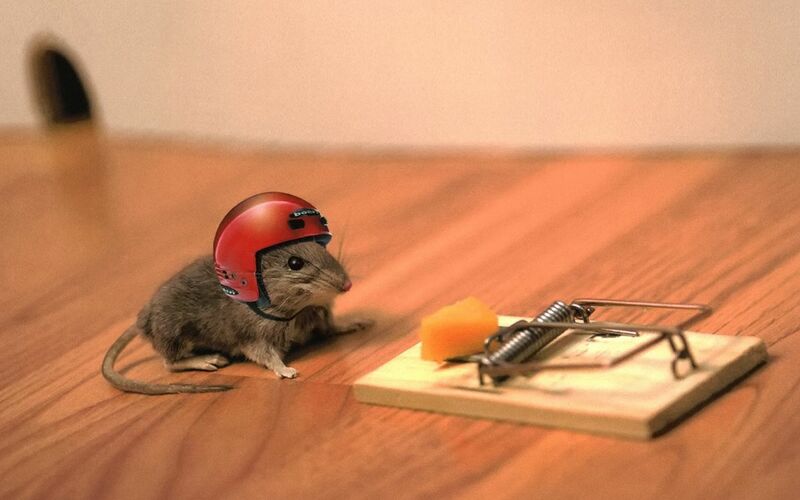 Power over temptations we habitually give in to. Power that ignites faith and rebels against fear. Power to live life to the fullest, instead of just getting by. Power to be bold, speak truth, celebrate hope, and see lives changed because of it. And other far-too-common issues that riddle our broken society. Power over self-absorbed tendencies that undermine God’s kingdom-minded priorities. I am convinced that one of the greatest extinguishers of the power of God is binge-watching Netflix. Or Facebook, Instagram, IMDB, etc. We know what we binge on. Maybe it’s food, or exercise. Perhaps its sleep. One way or another, this excess is steadily siphoning out the power of God in and through our lives. God has given us brilliant minds, incredible physical capabilities, and the capacity to love and share life with others. His gift of a reconciled relationship with Him begins the flow of His power the heals and energizes, grows and sanctifies, and ultimately provides a whole new life-perspective. 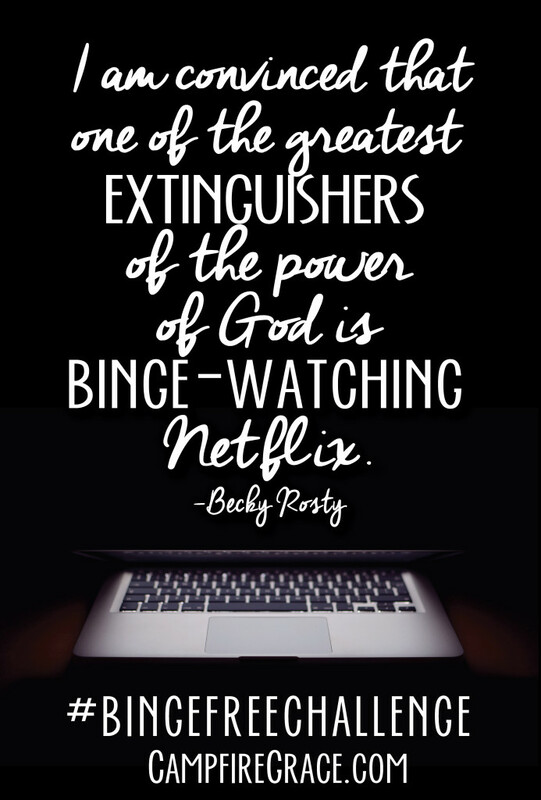 Often, when we binge-watch, we put that power on pause. We silence the voice of the Holy Spirit to stay tuned to what happens next to Amy and Rory. If it’s not helpful (in my walk with God, for example), or building up others, then should I be dedicating 4+ hours of my day to it? If it is beginning to take control of my thoughts, impulses, concentration, desires, or time, then I must employ wisdom to deny myself the indulgence. I am not suggesting a legalistic ceasing of all tv-shows and movies. Like Paul said, “everything is permissible for me.” What I am suggesting is that we all take a 2 week binge-break. Spend time telling God about your day. Make a to-be list, instead of a to-do list. Rest…. for real. Take a nap or a bath. Embrace the quiet. Learn how to just be with yourself and God. And when 2 weeks is up, lets all adopt a healthy and balanced approach to the R&R opportunities in front of us. Sorry Amazon Prime, nothing is really binge-worthy. 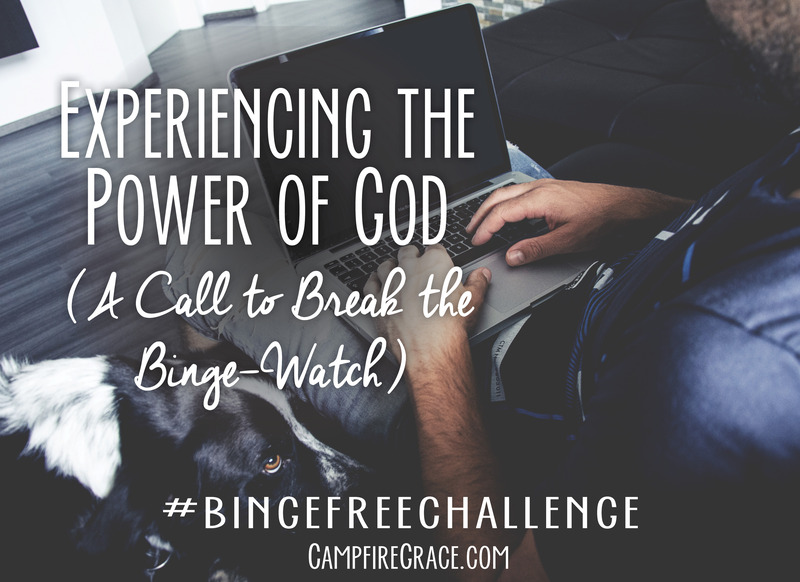 Document your progress and connect with others with #bingefreechallenge and #campfiregrace. What will you do with your binge-free time? What is your “word” for 2016? Last Tuesday Shane brought us a message that illustrated the importance of not getting bogged down in the Christmas season. Life gets stressful when we dwell on celebrating the Christmas season the way society tells us to. We begin to put ourselves in slavery when we focus on the world’s view of Christmas, instead of living into the freedom that Christ has gifted us with. Are you stuck in the holidays? Do you resemble a ghost, where you just show up and leave to school, family events, even church. Not really participating in anything just slipping in and out of events and holidays. Are you a zombie? Not really thinking about your actions or mindset at events. Not loving people the way we are supposed to, just appearing and feasting. Have you become a holiday were-wolf? Where everything in the house has to be absolute perfect for the holidays. Leaving no room for mistakes, humans, and love. Or are you a vampire? Where you only desire what people are giving you. Wanting more and better gifts living in a want-to-be mode. We don’t have to live in slavery mode, but instead be present with God and the people He has put in your life. Loving them and listening to them in a way that would reflect Jesus. Building relationships with people that you don’t typically reach out to. Being warm at heart and loving people more than you think you could, because Jesus loves them more (Galatians 5:6, 13-16). Above all that we would be focusing on our Good Father (Luke 11:9-13). As the Christmas season comes around let us focus our eyes and attention on the thing that is better than all the gifts, food, and even memories. The God that sent His Son to die on our behalf to free broken people from slavery. Celebrating Jesus’s birth, life, and sacrifice that give us eternal life. That we would be present and intentional in our time with our Creator. God’s favorite gift to give us, is Himself. So set your focus on Him this Christmas season, asking for more of Him and His heart. I am sure His gifts will satisfy you more than anything this world can offer. Don’t forget tonight is our BCM Christmas Party!! Bring a gift for the white elephant event and meet in TRCC 008. We will be having cookies, apple cider, and hot chocolate. This is a beautiful verse that re-sparks my heart with the main mission every time I read it. “God is appealing through us,” how remarkable is that? There is overwhelming comfort in knowing that God is reaching people through me. That I don’t have to be enough because God already is. God has already conquered death and evil, so I don’t have to. And that, “we are ambassadors for Christ;” who stand for His Kingdom and are to reflect the image of Jesus. To share the news of peace, joy, love, and hope in Jesus. Announcing His life, death, resurrection, and coming again to the world; and once we get a glimpse of the God Almighty, we can’t help but share this news with the rest of the world. Recently myself and several other college students started meeting with teenagers from a crisis outreach center once a week for an hour to share the life of Jesus with them. The time we spend with these teens has been immensely precious, and I often find myself withdrawing to pray for these teens throughout the week. The students we meet are often broken from the world, confusing about life and themselves, and hungry for answers and deeper hope. Every time we walked away from the conversations we were so overjoyed about what God was doing. We were challenged by the tough questions that the students were asking about the Gospel, life, Jesus, Holy Spirit, and God. Student’s eyes were being opened; hearts were gaining trust and welling to share deeper hurts. Praise the Lord that we have seen youth come to know Jesus through the one hour a week we consistently spend meeting with the teens. This is all for the glory of God and how immensely powerful His Word is. There are times that we have no clue what to say to these students. We don’t have all the answers, but our lives repeatedly point toward Christ saying “He is enough,” “He is more powerful,” and “He knows.” So when we fumble through sharing the Gospel and we feel like we aren’t knowledgeable enough to bring someone to the feet of Jesus. Realize that He has made you His ambassador. He finds pleasure in you, and that He has called you to go make disciples of all nations. I am unbelievably thankful that God doesn’t call the best-of-best to do His work on earth. He calls the humble, faithful, and the willing. If you’re looking for ways to get involved? 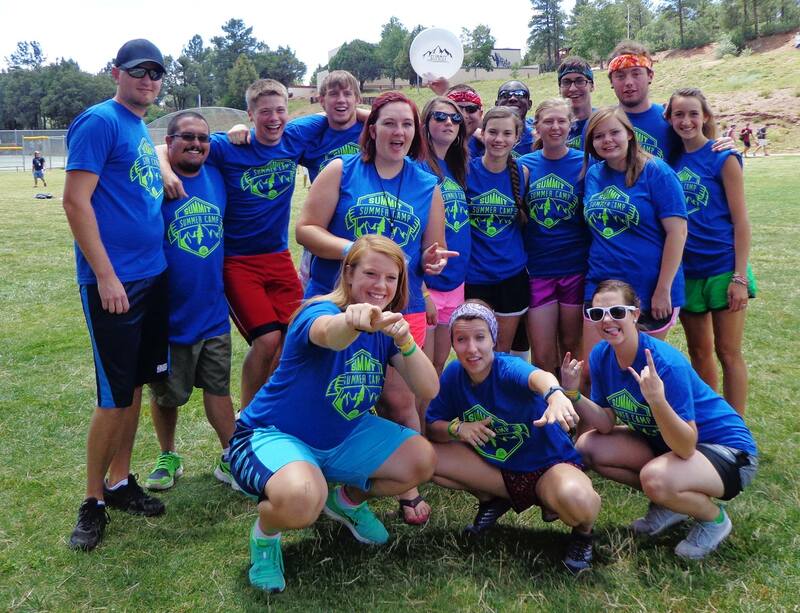 BCM offers mission trips, weekly evangelism, summer ministry programs, and other community involvement activities. How are you spreading the Good News of Jesus in your community? Comment we would love to rejoice with what God is doing around the community and world! God is preforming remarkable miracles of redemption in the lives of students! 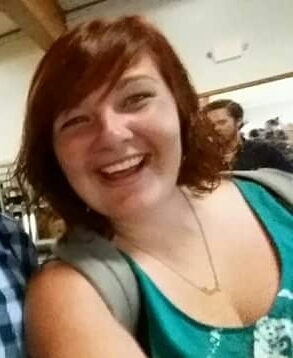 Here is a story of a joyful young woman who recently came to know Christ through BCM. I didn’t grow up in a Christian home; I didn’t really even know what Christianity was until I was about seven or eight years-old. But seven or eight isn’t where it begins. Let’s start at the beginning. I was born into a very broken family. My mother was into some hard-core drugs, and honestly could care less about my three sisters and myself. My oldest sister, Brittnie, was six when I was born; and she quickly became much more of a mother to me. She took care of us, fed us, bathed us, and even made sure that my two middle sisters got to the school bus on time. All the while my mother was off focusing more on men and drugs. When I was two, a neighbor saw Brittnie digging through the trash for food, and called social services. Social services came to our house, and instead of taking us immediately, they gave my mother three chances to straighten up. They told her that they would be back every week for three weeks, and if she didn’t get the placed cleaned up and us looking better they would take us and place us in the foster care system. Well as you could guess, she didn’t straighten up her act. So on the last week we were taken and put into a foster home. Throughout this time, Brittnie’s social worker in charge of our case promised her that we would never be split up. The social worker did everything in her power to make sure that we were put into a home that would take four girls. For about four years we were bounced around to six different foster homes. Each one saying they couldn’t handle all four girls, they would keep one or two of us, but couldn’t deal with all four of us. The social worker was dedicated to keep her promise though. So at the age of ten, I became an only child. After struggling with the things that my sisters had done to them, my parents kind of turned away from me. We lost the connection that we had had before my sisters were taken, we grew apart fast. I never could blame the situation on them though. I always told myself that they didn’t build a connection with me because they were afraid that I would leave just like my sisters did. I always tried to be the best I could be though, to show them that I wasn’t going to leave. When I was 18, I stopped trying to get my parents attention by doing good things, and started doing bad. I began to retreat to partying. I figured that it would catch their eye better if I was in trouble than if I was doing good things, it never really did though. I graduated high school, moved out, and kept living the same lifestyle. Going out and getting drunk became a regular routine in my life. Then I moved to Sheridan for school. And yup, you guessed it, I kept partying. I actually partied more here than I ever did at home. It was “fun and exciting” while I was doing it, but afterwards I always regretted it. But I was definitely living up to “the college life” expectations. One Thursday evening in mid September, while playing pool with some friends, I heard beautiful music coming from a room down the hall. Since music had always been something I listened to, to lift up my spirits, I followed the sound. When I peeked in the room I saw one of my friends, Lance, and he told me to join in, so I did. The room was being used by BCM (Baptist Collegiate Ministries) which is the Christian Collegiate fellowship on campus. I decided I would go every once in a while, so when I wasn’t busy on Thursday nights, I would go to BCM. Slowly I started to feel empty, and for some reason alcohol wasn’t filling the hole anymore. I couldn’t figure out what was going on. 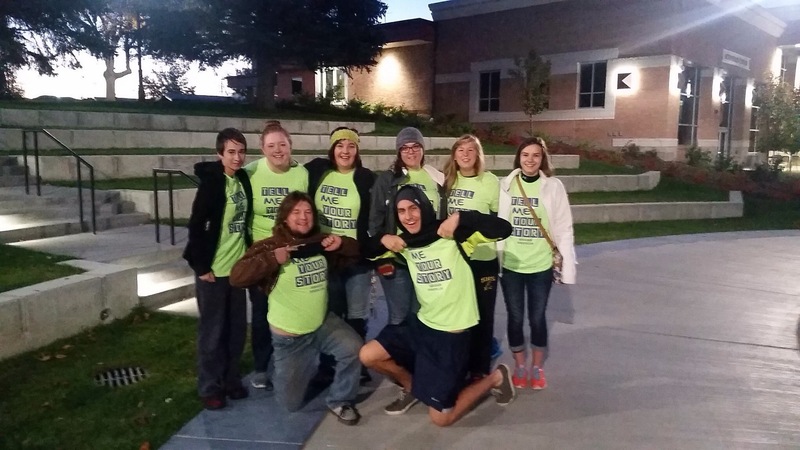 But I stopped wanting to party as much, and I started wanting to hang out with the students that attended BCM. Over Christmas break I started to get really into learning about God. All of the sudden I stopped wanting to know the hot new party drinks, and I wanted to know more about Jesus and the Bible. In February, I was invited to join BCM on a retreat to Laramie. I wasn’t planning on going, but just before the trip, a friend convinced me to go so she wouldn’t be alone. After a weekend of hearing testimonies, I was ready to go home; I didn’t feel like I belonged there. I was so out of place, totally surrounded by believers. On the last night, a girl I barely knew came up to me and asked if I needed to talk. For some reason, I said yes. That night Addy and I talked for hours. I told her my story, and said that if God was real he never would have let a little girl go through what I did. I also said that even if he was real he wouldn’t want me because I was a sinner, and I knew I wasn’t ready to stop doing what I was doing with my life. Addy explained that God gave us freedom and everlasting life in Him, so that we have live in hope; and that one day we will once again turn to him. That is was sin and brokenness that causes pain, and that people like my biological and adopted parents can cause hurt and pain in your life. Then she read to me Romans 8:1-2 “So now there is no condemnation for those who belong to Christ Jesus. And because you belong to him, the power of the life-giving Spirit has freed you from the power of the sin that leads to death.” This made me realize that it didn’t matter what I had done in the past, God forgives even the greatest of sins. After lots more questions on my part, Addy read me Romans 10:9-10 “If you openly declare that Jesus is the Lord and believe in your heart that God raised him from the dead, you will be saved. For it is by believing in your heart that you are made right with God, and it is by openly declaring your faith that you are saved.” So right then and there on February 21st 2015, I decided to open my heart up to God. I decided that I wanted to live my life for him. And in that moment I realized why the alcohol wouldn’t fill the hole; it was because it was a God shaped hole that truly only God could satisfy. Since that day, I have grown immensely with God. Not only did I start attending BCM regularly, but I started going to church every Sunday. I also stopped partying, doing drugs, and started focusing my life on God. I went on a mission trip to Dallas Texas with BCM, which I can honestly say changed my life. It opened my eyes to the actual presence of God. It also opened my heart to things I never really cared about. 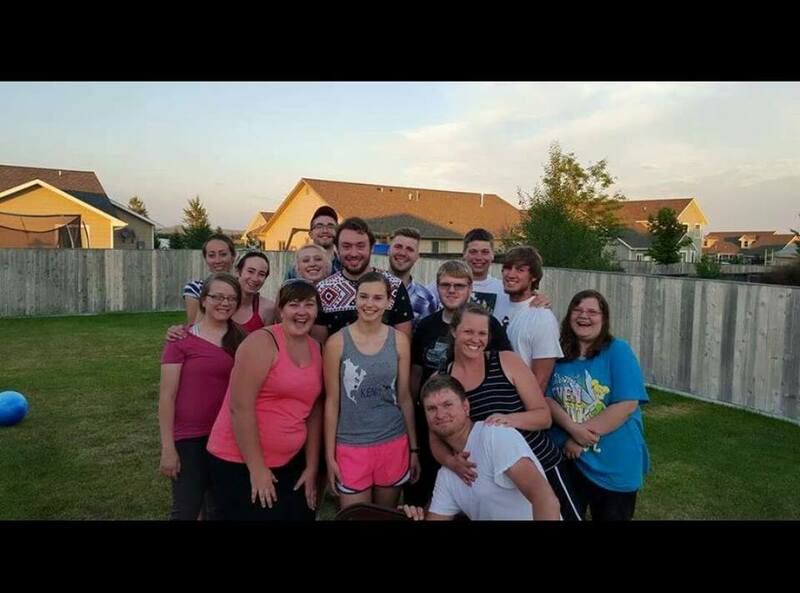 In May I decided to get baptized, so right before school got out, my BCM family threw a baptism party, where me and another BCM member, Kendyll, were baptized. Since February, I have felt so alive! I don’t think I ever had this feeling in my whole life. Before knowing Jesus, at times I had been happy; but I had never felt worthy before in my life. Now that I know that I am living for something that is greater than anything else, I’ve stopped trying to look for approval in others. Not only did I become saved that night, I also became a member of a family that I know loves me very much, and I love them. One of my favorite Christian songs is call All Of Me, and the reason I love it is because it says, “the truth is spoken, I’m no orphan anymore” and all my life I have kind of felt like an orphan until I became a Christian, and now I am a part of a huge family that I know each and every one of them loves me just as much and some even more as I love them. While the day of Engage 24 in 2015 may be over, the spirit of Engage 24 can endure. The point of this initiative is not to check off a yearly gospel sharing opportunity. The point of Engage 24 is to be a kick off to gospelize each of our lives, and equip and excite us to share our blessed faith more often. While I believe we should always be searching actively for the opportunity to join Gods work of reconciliation, I also understand our humanity and penchant for busyness. If we don’t establish a sense of intentionality into our days, our hectic schedules can often blind us to the needs of the lost. So, I have listed 4 ways to help us maintain an evangelistic awareness all year long! 1. Keep your engage 24 shirt, (ours say “tell me your story”) an active participant in your regular wardrobe. 2. Go on engage 24 “dates”. Jesus sent His disciples two by two. Follow his command by having engage “dates” with your Christian friends. Start by sharing the gospel to each other over coffee or dinner. Unpack how the gospel specifically impacts one another’s lives. Then grab soularium and head to the mall. Or use a jar of quarters to buy laundry time for strangers at your local laundromat. Visit the homeless in your area or a local shelter with care packages. Your kindness may open a door for a stranger to ask about the hope that is in you (1 Peter 3:15). If not, you get to spend time with a friend (or special someone) of the family of God. 3. Establish a regular “engage 24” day in your routine. Set a side one day every month to prayerful engage your community (the 15th of every month, maybe?). Level up to once a week! (like every Thursday). Add in a regular “monk” day as well. Ask you community group to join you. 4. Subscribe to my blog and stay updated on tips on sharing your faith and growing as a Christian. Last night Shane shared with us the importance of stewardship and avoiding the trap of living selfishly. He reminded us that as Christians we are to have a changed worldview in everything, even our finances. All that we own our life and our belongs all belong to Him. Even as college students we must be aware of the Biblical truths in handling our finances. For me, Addy, this was a convicting message, being mindful about my money isn’t always my first priority. But as a follower of Jesus it’s critical that we are being wise about the money given to us by God. Below are some ways that we can be using our money for the glory of God. Buy a Bible for a classmate. Buy a meal or coffee for a friend or classmate. Spend money if it means the Gospel will go. Paying whats owed and being cautious about not going into debt.